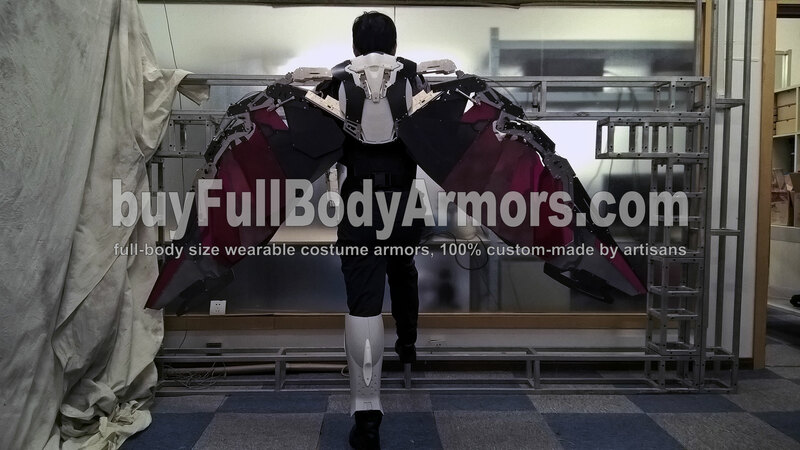 The most remarkable milestones in the development progress of the wearable Falcon armor suit costume. 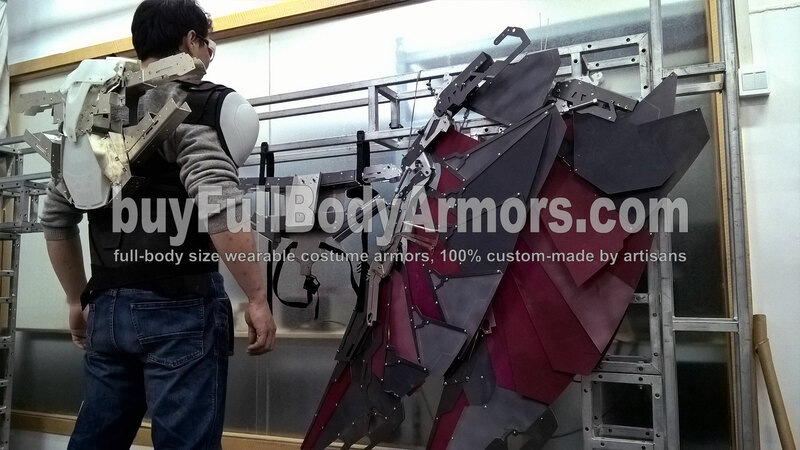 We are now proceeding to the final prototype of the Falcon suit costume (Avengers Captain America Civil War). We will start to take preorders next week. Stay tuned! 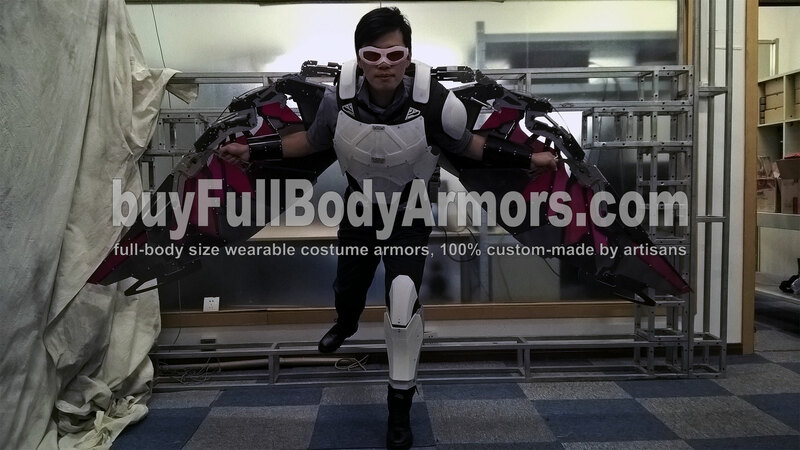 This entry was posted in News,Falcon Suit Wearable Armor Costume R&D Milestones,Falcon Suit Wearable Armor Costume R&D Full History and tagged on May 12,2017. 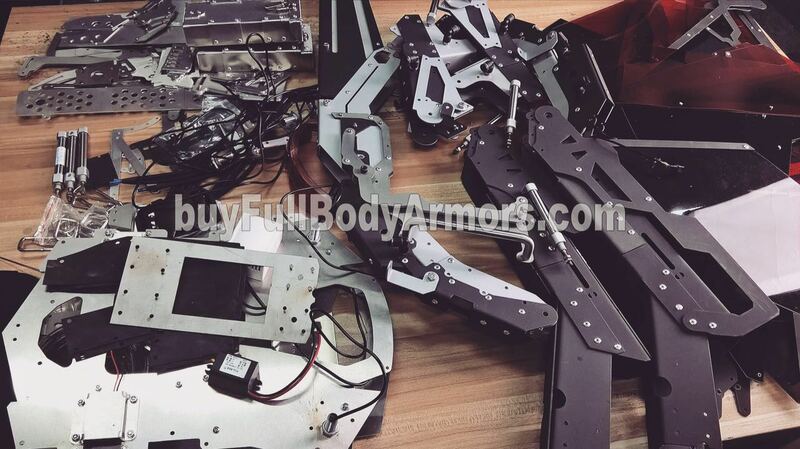 These days, the main force of our design and development team is focusing on the Wearable Iron Man Suit Mark 3 III Armor costume. But it is not the only armor costume we will release before the end of the 2nd Season of 2017. 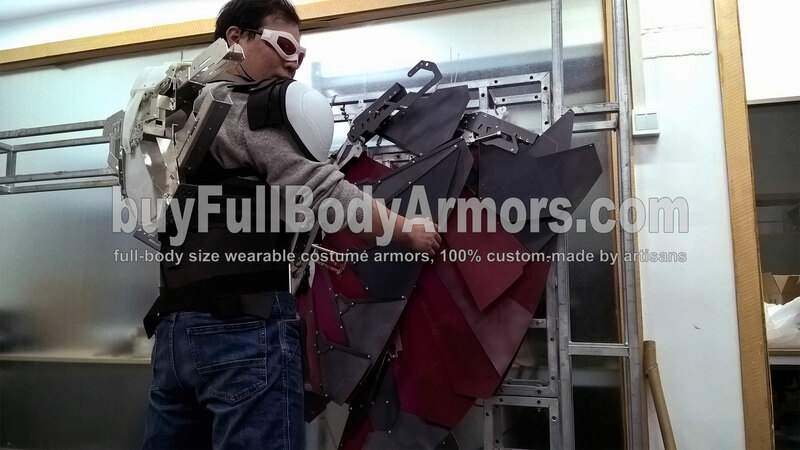 These 4 parts in the two photos below belong to the wings of the Avengers Captain America Civil War Wearable Falcon Suit Costume. 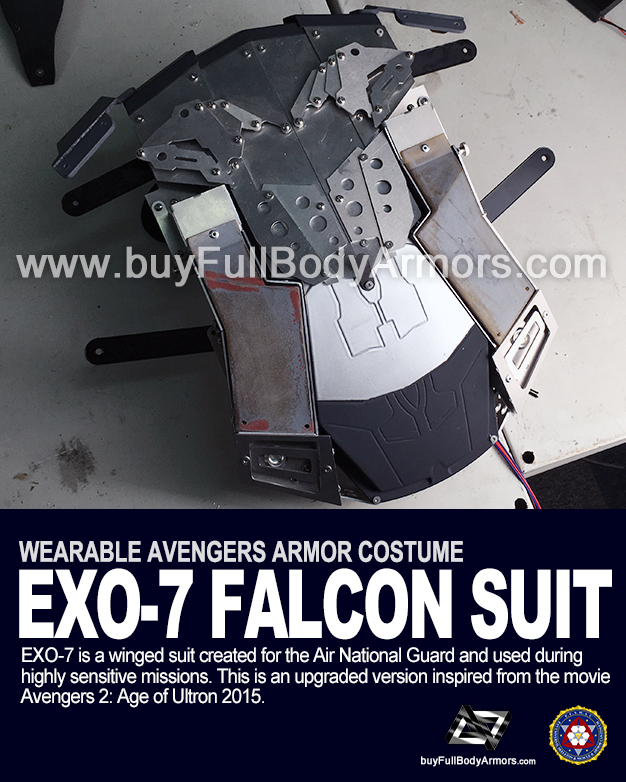 Our Avengers Falcon suit team is now assembling the final prototype. 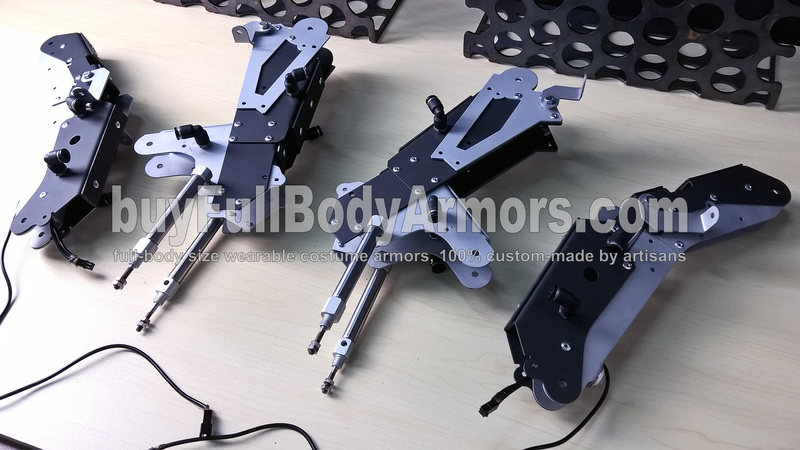 If this prototype survive the wearing test, we will start to take pre-orders. 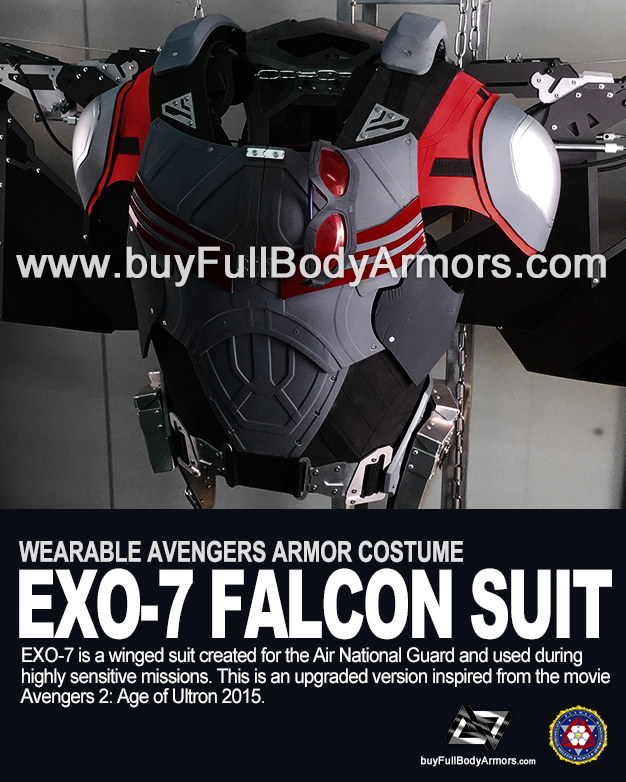 Of course, we will make improvements according to the final test result and apply all the improvements to each and every Avengers Captain America Civil War Wearable Falcon Suit costume you will receive. 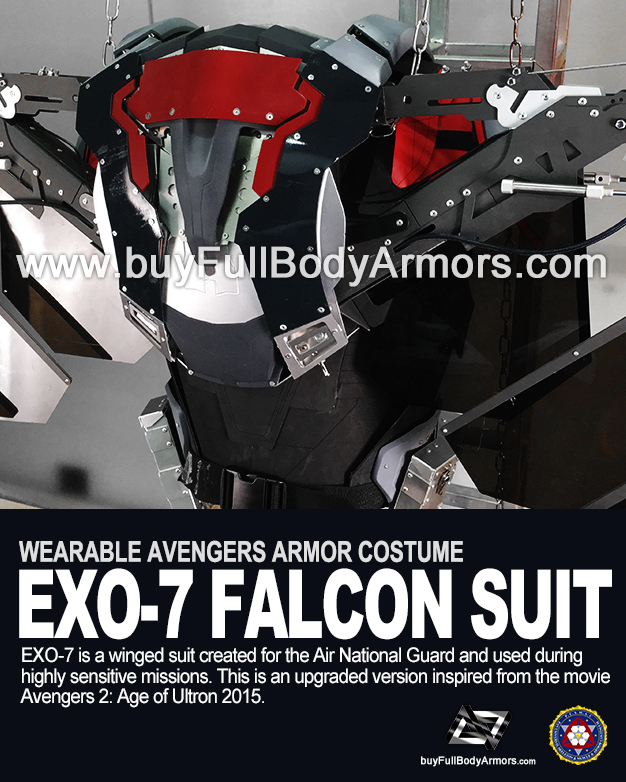 This entry was posted in News,Falcon Suit Wearable Armor Costume R&D Milestones,Falcon Suit Wearable Armor Costume R&D Full History and tagged on Apr 27,2017. 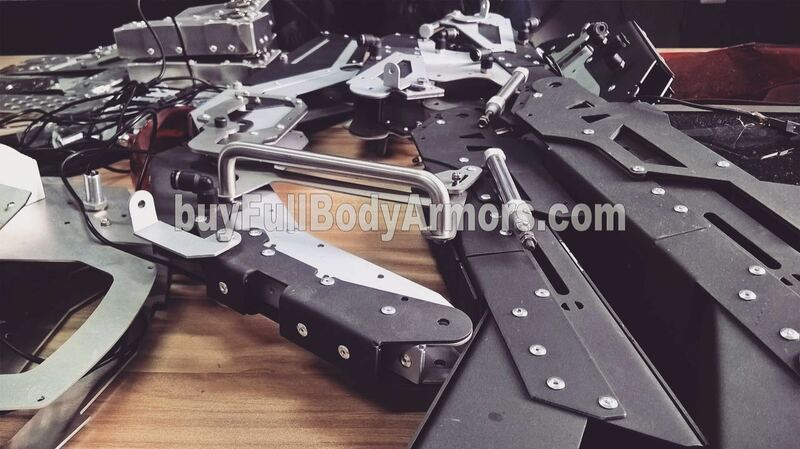 The Wearable Falcon Suit from the movie Captain America: Civil War is now in its final design and development stage. You can expect to place orders starting from the end of February. It will cost us around 30 working days to build one wearable Falcon suit costume. The price is not yet decided. 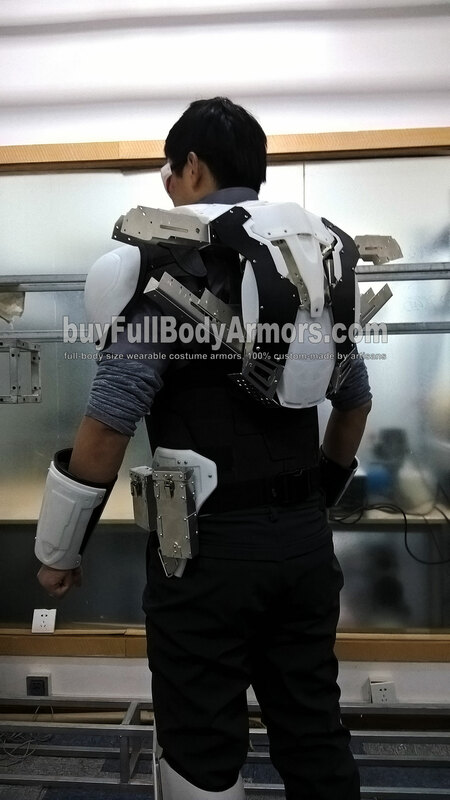 This entry was posted in News,Falcon Suit Wearable Armor Costume R&D Milestones,Falcon Suit Wearable Armor Costume R&D Full History and tagged on Jan 22,2017. 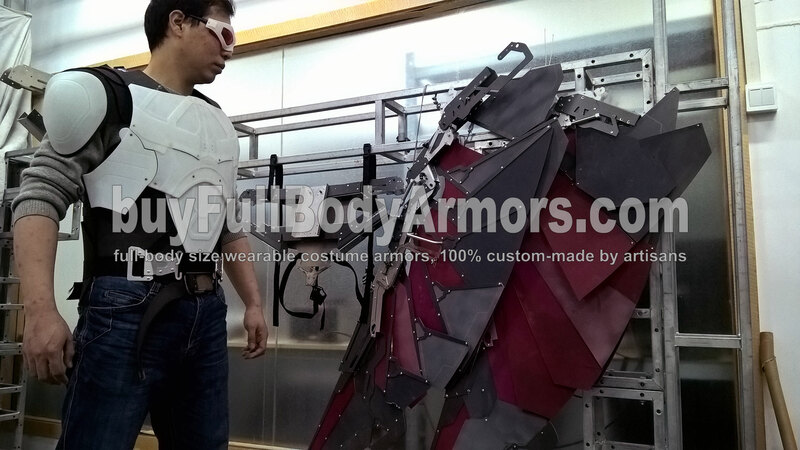 The wearable Falcon suit from the Avengers will be finished this month. This is a development update for the eye glasses, wings, shoulder caps, chest armor, back flying pack and waist armor. We will build the Carbon Dioxide (CO2) powered propulsion simulators in the back pack. Stay tuned! 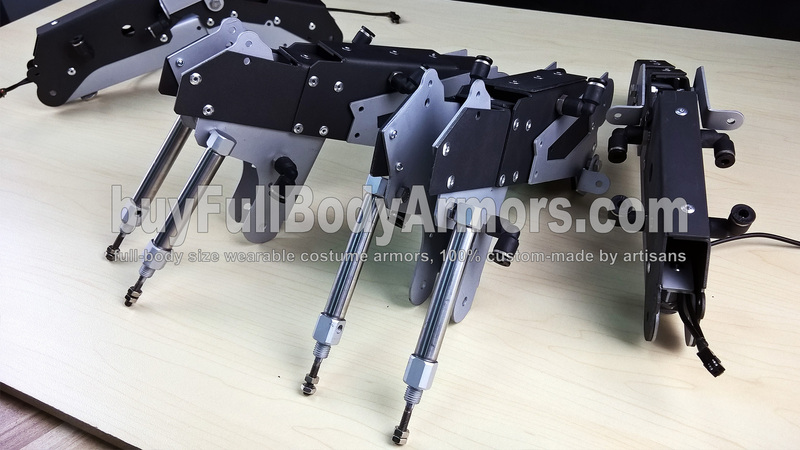 This entry was posted in News,Falcon Suit Wearable Armor Costume R&D Milestones,Falcon Suit Wearable Armor Costume R&D Full History and tagged on Dec 10,2016.